LOOSE CURLS WITH OUTRAGEOUS BODY. Elegant or quirky, however you feel -- this curling wand is designed for versatile styling and loose, tousled curls that are full of smooth texture and volume. High Heat up to 400 F quickly locks in the curl with a clamp-free wrap-and-go design that leaves no creases behind and a natural-looking finish. Tourmaline Ceramic helps to reduce frizz and lock in shine for amazing body that will last day and night. 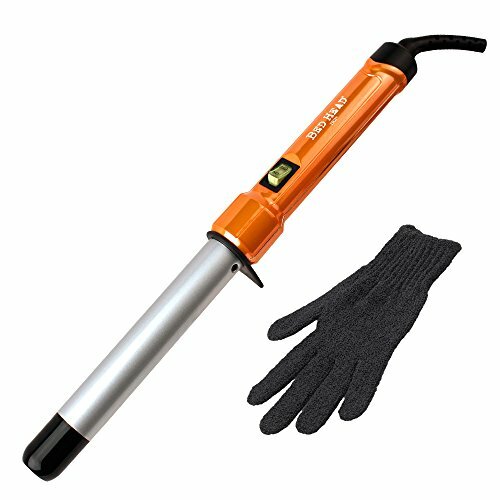 The Bed Head 1" Tourmaline Ceramic Styling Iron also comes with a Bonus Heat-protective Glove and a Tangle-Free Swivel Cord that make it easy to style with. HOW TO GET THE LOOK: Take a 1" section of hair and wrap it around the barrel, with the iron facing downward. Alternate curling each section left then right for a tousled, natural look. 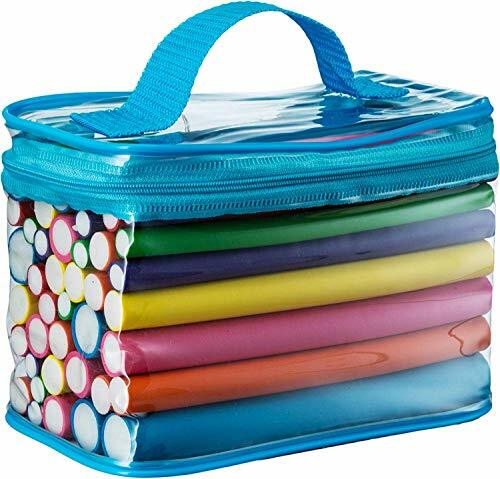 Tifara Beauty Flexible Curling Rods 42-pack comes with 7 different rod sizes. 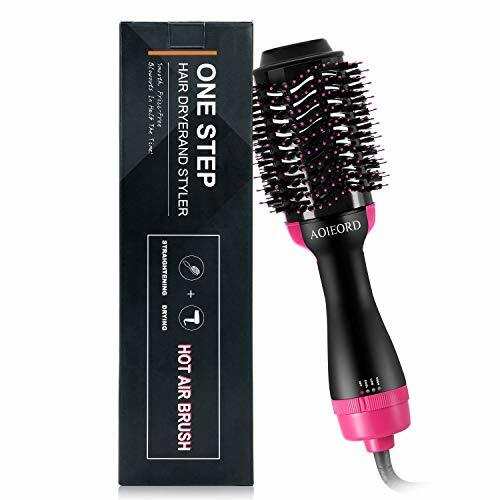 7/8" 11/16" 5/8" 9/16" 1/2" 7/16" 3/8"
Bed Head's #1 Hairstyling tool with bonus features and exclusive color! You ask, we deliver! 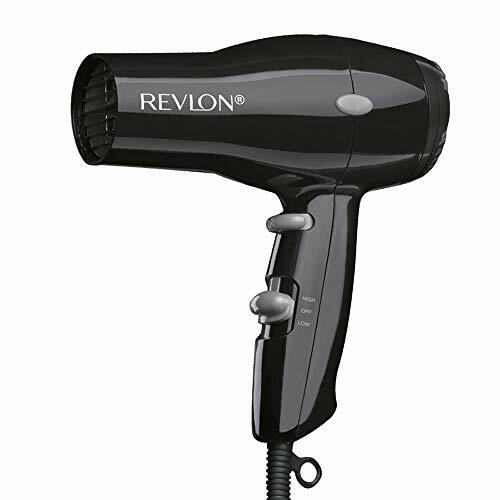 Check out the upgraded features on your favorite Bed Head Styling Tool. The new and improved Wave Artist now comes with Worldwide Dual Voltage so you can take it wherever your jetsetting heart desires. It also includes a double dosage of Tourmaline Ceramic Technology for massive shine and frizz-free, long-lasting results. 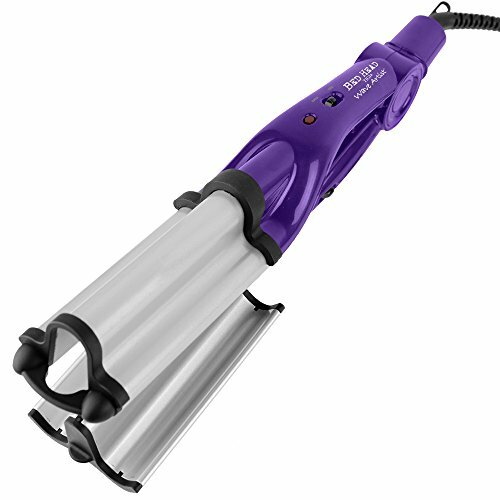 Auto Shut-off has been included for safety and we've finished pimping your waver with a cool, 2018 color of the year Ultraviolet purple that will make your bathroom counter go, ooh-la-la! Turn your hairstyle into a work of art with the Bed Head Massive Shine Wave Artist, now with 2X Tourmaline Ceramic Technology to tackle unwanted frizz and add an extra shine boost to your hair. This deep barrel design quickly and easily waves the hair with High Heat up to 400 DegreeF (we know you like it hot! 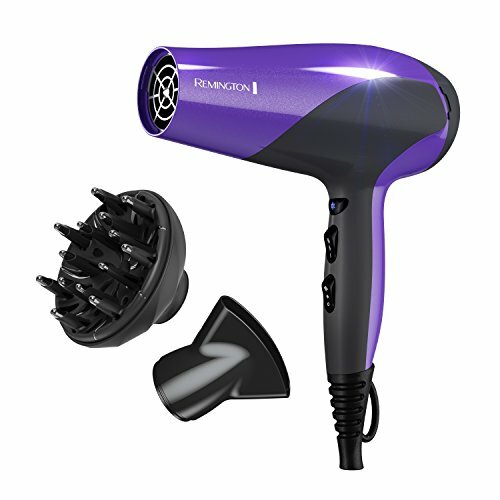 ), while instant heat recovery ensures consistent heat so that your waves look fab throughout. 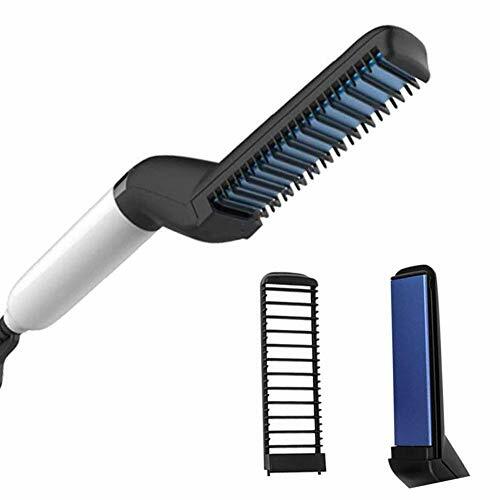 Multiple Heat Settings make this waver ideal for all hair types, from thin to coarse. The Bed Head Wave Artist also features a plate-locking switch for easy storage in less space and a tangle-free swivel cord that makes it easy to style with. HOW TO GET THE LOOK: Starting at the roots, lightly clamp a small section of hair between the barrels and hold for a few seconds. Style one-inch sections of the hair for natural-looking beach waves, or larger sections for uniform, sculpted waves. For a consistent pattern throughout, match the outermost wave and work it down your hair. 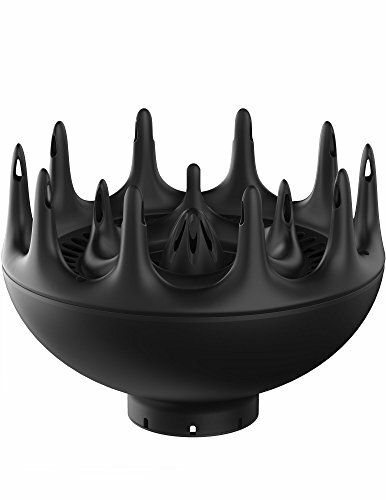 STRONG AND DURABLE BLOW DRYER DIFFUSER - An inner banded seal ensures that the hair dryer diffuser for curly hair stays in place on your hair dryer while styling, so you can focus on getting the perfect look! Is it true that your hair each morning seems more like a fantasy than a reality? All you need to achieve the red carpet worthy look is TYMO hair straightener brush! Turn on, wait for 60s, run a few passes , you are all set! Say goodbye to hush and rush, get rid of frizz and split ends, walk out of the door with natural straight hair. That fast and simple! Always on the road or flying all over the world? This is the brush for you! 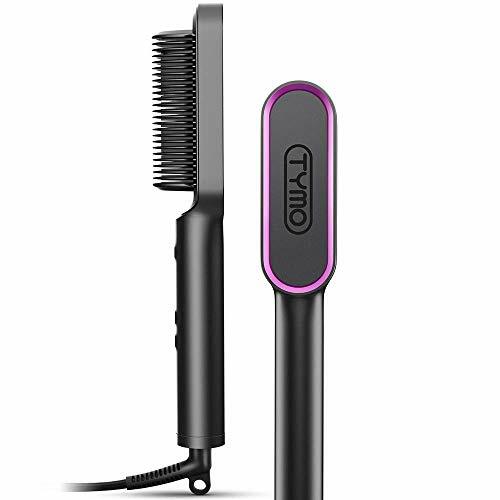 Dedicated to present the straightener brush that infuse ergonomic and aesthetic design, TYMO spent years researching the golden ratio, the perfect color mix and the best material. It's time to let it help you shine! We are well ware that not all hair is the same. 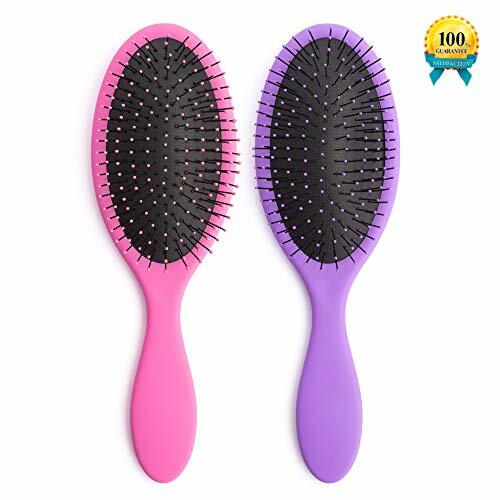 So what works on frizzy, curly hair might be disastrous for fine hair.With our straightening comb, this is NOT a problem.Our hair straightening brush has 5 temperature regimes (266 - 410 ), which are easily selectable and can be adjusted to meet individual needs. SAVE TIME WITH TRIANGLE TEETH - Spending hours with straightening iron? Our hair straightener can cut straighten time in half or more, so you can spend more time on life. 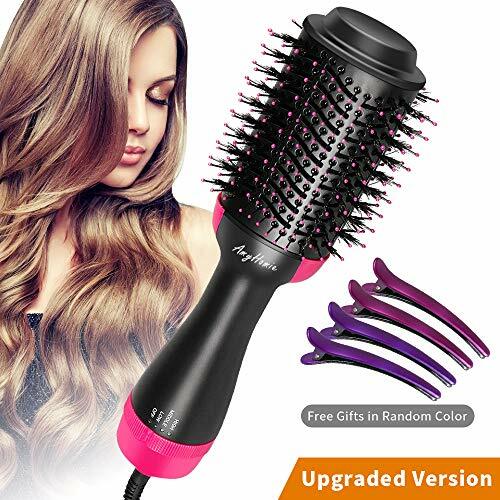 Our heated brush readies in 60s, and can straighten more hair at once with less brush passes thanks to large triangle heating teeth, which has 24 gaps to take more hair and increases contacting area by 200% to enhance effect of each pass. Our hair straightener is also ideal for a morning rush, quick make up before going out. NATURAL STRAIGHT HAIR WITH VOLUME - Stand out with natural straight, less-frizzy, healthy hair with volumes every, and make your friends say wow! Our hair straightener divides a large bunch of hair into 24 smaller strands and allows each strand to be fully caught between heat gaps, from roots to ends, making sure every hair is straightened to achieve an overall natural and silky look. 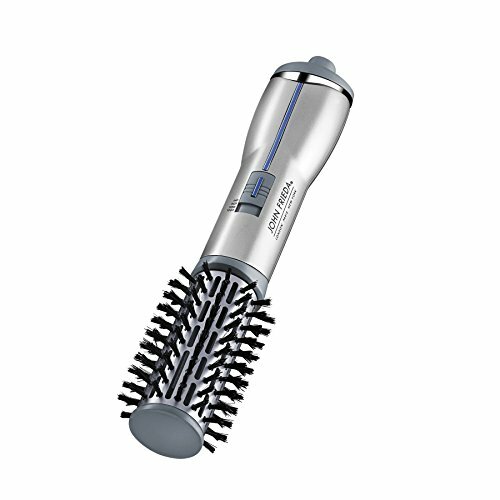 The PTC and heat lock can reduce hair damage and add a natural shine, making your hair looks healthy. ANTI-SCALD & SAFE - Just enjoy straightening and styling your hair worry free from burning & shocking, our patented V-shape flame-retardant plastic frame will protect you from every angle. 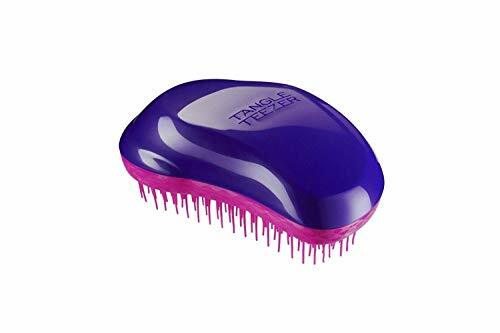 You can literally put our straightening brush on scalp and feel nothing because the frame creates a 0.2 wide safe zone between heating core and surface, so your skin is insulated from PTC heating plates. Plus, the brush will turn off automatically after 30 mins to ensure you and your house' safety. 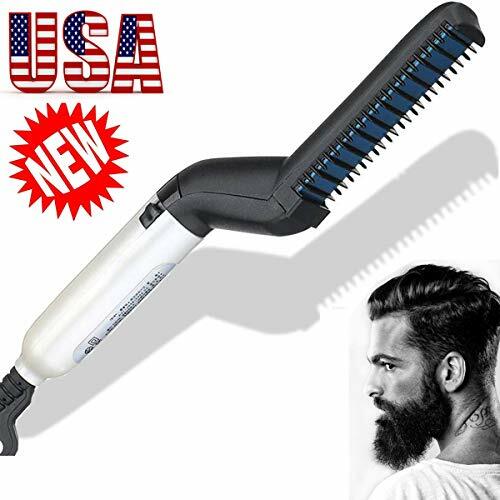 STRAIGHTENER FOR FAMILY & 1 YEAR WARRANTY - This is a hair straightener for whole family, you can use it for adult and children, as well as for men and their beard. There are 1 fleece-like packing bag, 1 glove and 2 hairpins contained in the box. We are confident about our quality and service, thus offer you a 1-year warranty. For any problem, you can contact us and we will reply you immediately to solve all of your worry. Totally no risk of you! Just add to your cart now! 5 SETTINGS & EASY TO USE - No matter what hair type you have, you can always find the right setting to tame it. 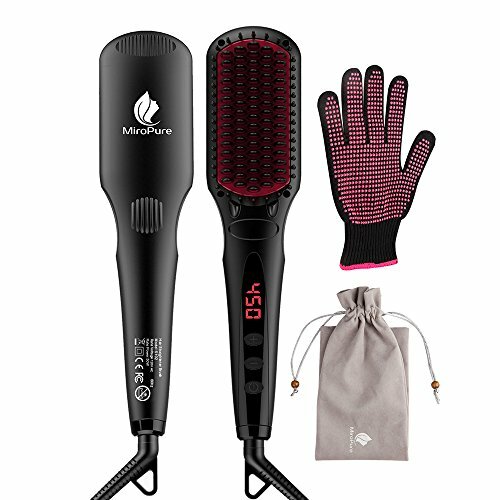 Our hair straightening brush has 5 heat settings (266 - 410 ), you can turn your soft, thin, fine, bleached, dyed, curly, thick or wavy hair to silky & natural straight hair. Hate twisted cord? Comb your hair freely with 360 swivel power cord. Bedsides, the brush comes with a built-in universal power adopter and a travel bag, you can easily pack it and take it to any countries. Are you getting upset about your messy hair when your date is on their way? Are you still waiting for your girlfriend to finish doing her hair? Then you don't want to miss this. 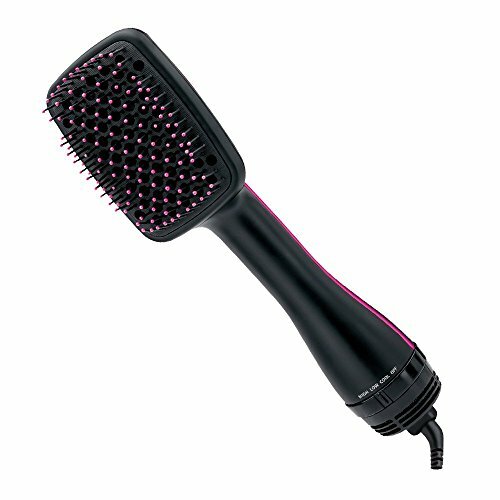 GeMoor Hair Straightening Brush, the Time Saving Device to Quickly and Efficiently Smooth & Perfect Your Hair! 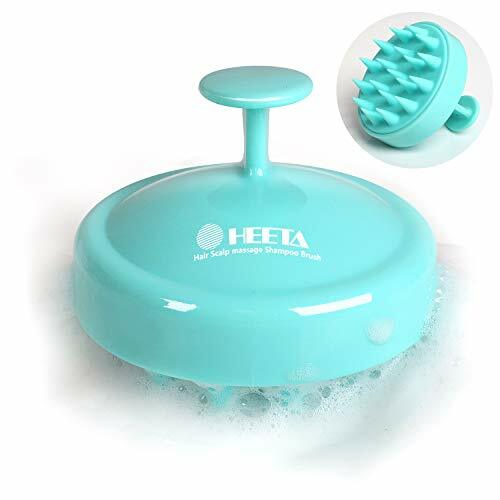 Features: Negative Ions The negative ions feature can restore smoothness to the hair, increase its luster, reduce frizz, and at the same time effectively moisturize hair and lock in moisture. 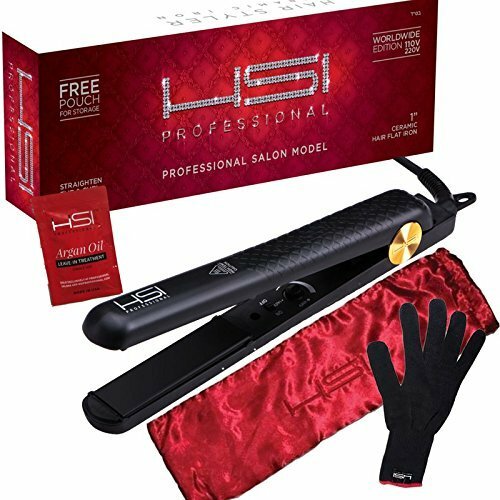 8 Temperature Settings & Auto Shut-Off The straightener has 8 heat settings from 250 to 390 for you to choose from. Set the temperature in 20 increments to meet your styling needs. Note, the default temperature is 350 . The Auto Temperature Lock & Auto Shut-off Function ensure your safety. 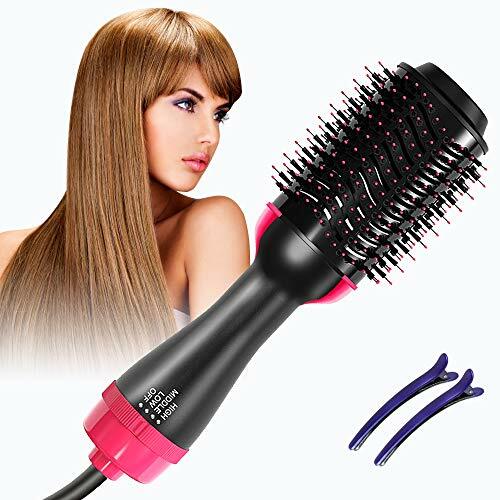 180 cm 360 Swivel Cord With the 360 swivel cord, you can easily straighten your hair at home from any angle. 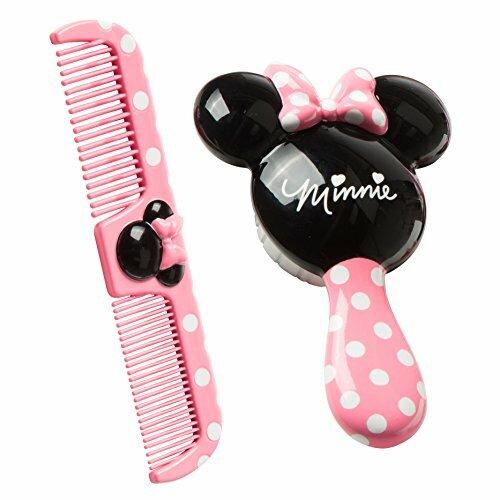 This also makes it more convenient for home & travel hair care. Tips for Use: 1. Plug in and press for 3 seconds to switch on the device. Wait for several minutes until the appliance reaches the temperature you require. 2. Take a strand of hair and pull it carefully downwards until taut. The remaining hair should be clipped up or fixed in place. Always begin at the root of the hair and move the device in the direction of the hair tip. To ensure that the shape is retained for a long time, we recommend that use a coarse comb or your fingers to separate the hair. 3. Press the power button for 3 seconds to turn off. Please remove the plug after use. Allow the device to cool for a few minutes before putting it away. Caution: 1.The device must be used only on dry hair, so make sure your hair is dry. 2.Don't use the device in a bathtub, or anywhere with dripping water. 3.Keep the cord away from the heated plates. Do not wrap the cord around the product. HELLO, STRAIGHT HAIR FANS! TIRED OF YOUR CURRENT HAIR STYLE? Our straight hair brush can give a straight style to your hair no matter which hair type you have-soft, thin, thick or curly. High quality negative ions make your hair straight and smooth, eliminating any frizz. ADD THIS TIME SAVING DEVICE TO YOUR BUSY MORNING ROUTINE. Unlike traditional hair iron straighteners, GeMoor professional hair straighteners take less than half the time to straighten your hair. Taking just 30 seconds to heat up, they're ready to use in only 5 minutes, helping style your hair faster and saving precious time. 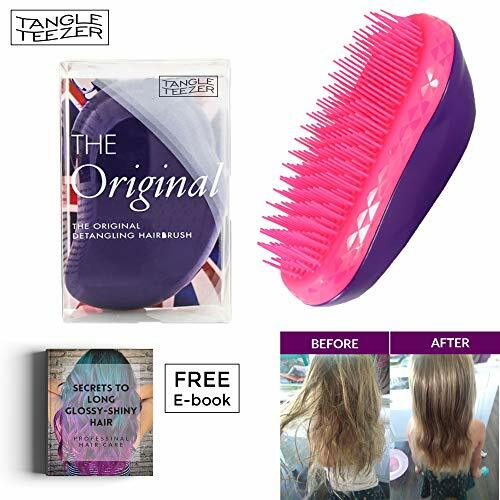 LOOKING FOR AN EASY & HANDY STRAIGHTENING COMB? 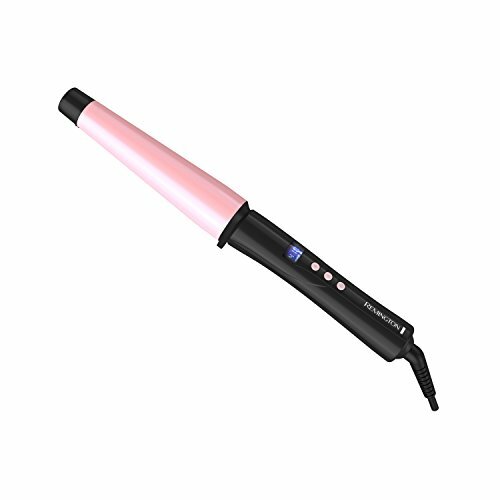 The best hair straightener you could wish for. 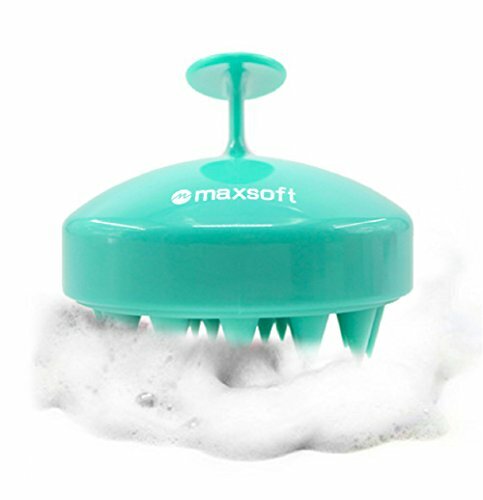 Equipped with 180cm, 360 rotating power cord-short press 3 seconds to turn on/off, double click to adjust temperature. We also provide 1 heat resistant glove and 2 hair clips, which lets you easily operate the appliance with one hand. HOW DO WE ENSURE YOUR SAFETY? We've got it covered. The uniquely designed LED digital display shows the temperature (default temperature is 350 ). 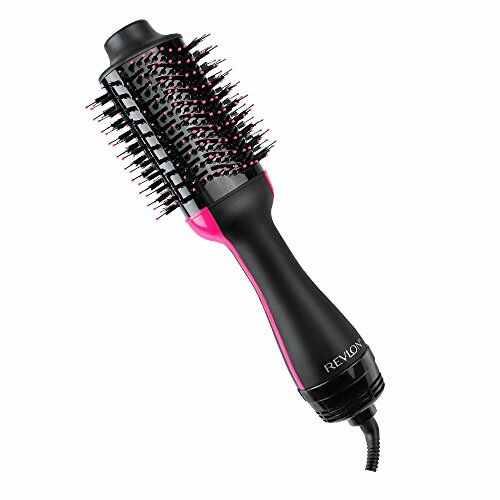 It also offers 8 adjustable heat temperature settings from 250 to 390 , allowing you to suit your specific style needs. For safety reasons, the device will auto shut-off after 60 minutes. FURTHER BENEFITS PROVIDED! THE CUSTOMER ALWAYS COMES FIRST! If you are not satisfied with our product, we promise to offer you 100% money back and 18 months warranty. There is no risk for you, so give our hair straightening comb a try! Feel free to contact us on (service@gemoor.net) if you have any questions.